Franke isn’t as popular as some of the kitchen accessories giants like Kraus, but it sure has its own unique place in the market. 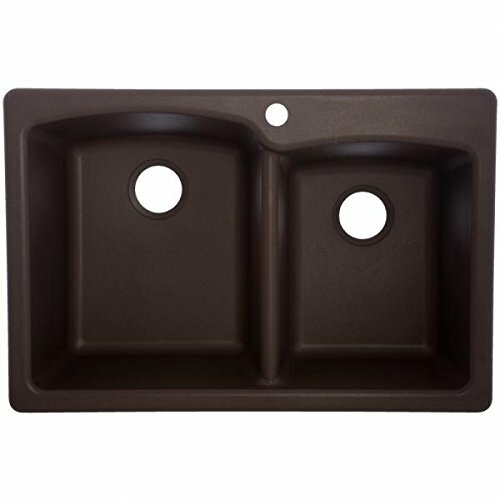 It offers many different types of kitchen sinks that makes it one of the bigger brands on the market. Franke is a company that’s based in Switzerland and founded in 1911. It got into the kitchen sinks market in the 1930s, when it produced its first few units of kitchen sinks. Back then, its sinks were made of traditional materials like monel-metal and nickeline, though it didn’t take very long to start making stainless steel kitchen sinks. Now that you’re aware of the fact that Franke actually has a long history in the kitchen sinks industry, let us tell you why many customers see Franke sinks as great value-for-money products. As we just said, it seems that customers particularly like the fact that Franke sinks are very affordably priced, despite boasting a solid build quality and a great set of features. While there are few high-end products being offered by Franke that don’t really qualify as “affordable” or “value for money” products – most of its other sinks are priced very affordably without any significant compromise on any of the important features. This is especially true when it comes to Franke’s granite kitchen sinks, which are great all-around and extremely durable. Not to mention, they come in a classy design and sure to add a touch of elegance to your kitchen. In fact, we would say that some of these granite sinks from Franke are definitely comparable to some of the premium sinks from Kraus and other brands, without there being a significant difference as far as the features are concerned. Now, that’s quite some bang for your buck right there. 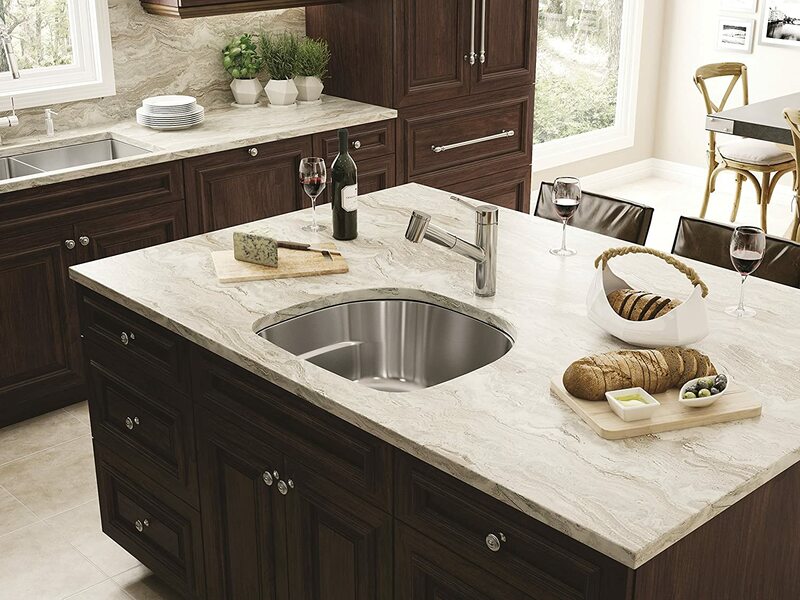 A common issue with many kitchen sinks is that they are either aesthetically pleasing OR sufficiently functional. This seems to be very common with “affordable” sinks. Sure, if you’re willing to shell out more money, you may not a have hard time getting a great design and superior functionality, but for those without a very deep budget, it can be a struggle. And this is another reason why many customers end up going with an affordably priced Franke kitchen sink over the more popular Kraus ones. 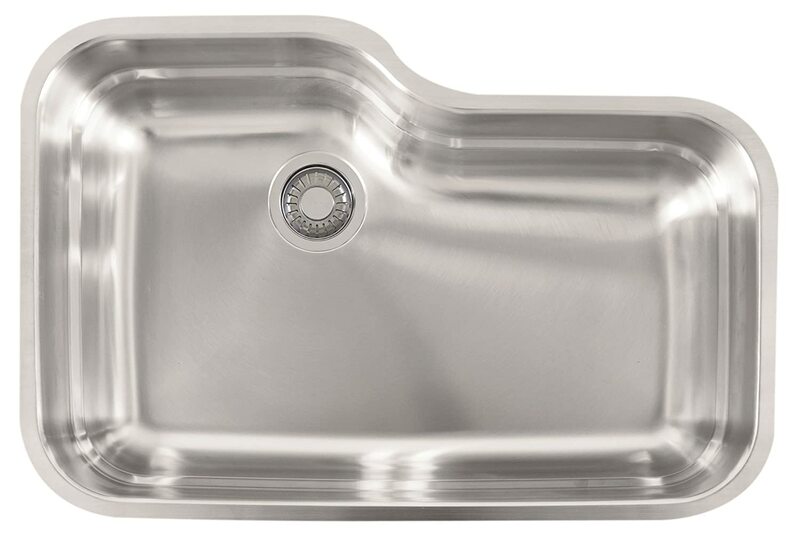 While some of its stainless steel kitchen sinks come in a very unique design, they are also pretty functional as well as very easy to clean. 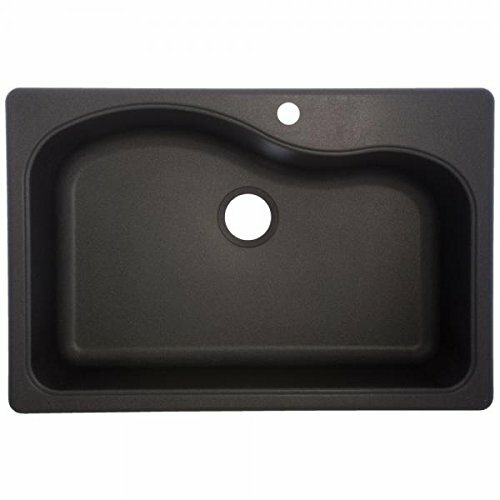 Most of its granite sinks, too, offer a great combination of an elegant design and amazing functionality – besides the high level of durability granite sinks are well known for – which kind of make them a perfect choice for people on a tight budget but still wanting the best of these three crucial features. Although Franke seems to be very creative with the shape and design of its sinks, they come with a surprisingly large cleaning area. 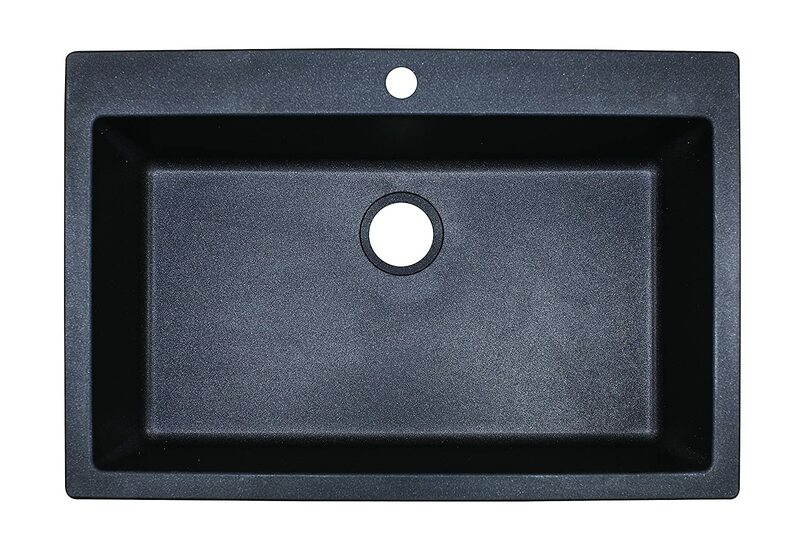 The single basin ones in particular are very impressive on this front, and customers mention in their reviews they have no problem keeping and washing all their large pots, pans and more in their sink without any problem. Franke seems to overdeliver where others don’t bother going beyond the usual requirements. This is especially with respect to the safety standards and hygienic features of the sinks, as these aspects get special attention from Franke. 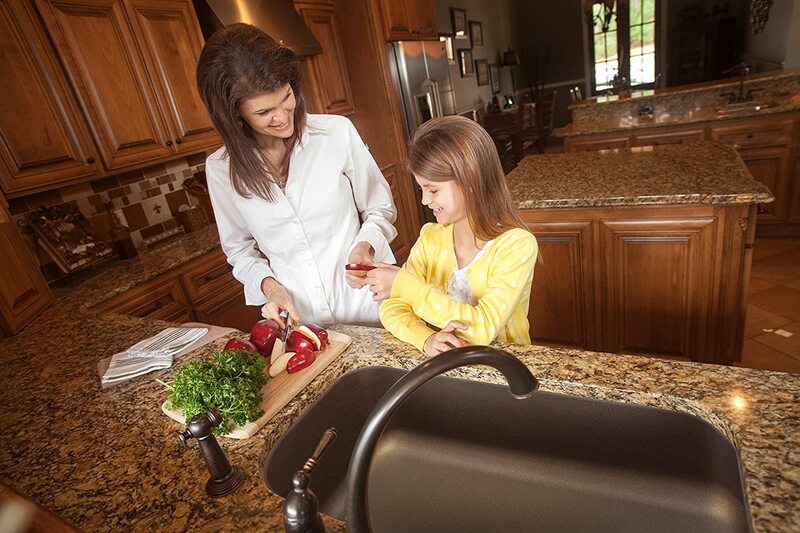 All of Franke’s granite sinks sport a sanitized built-in protective barrier, which prevent the production of bacteria. 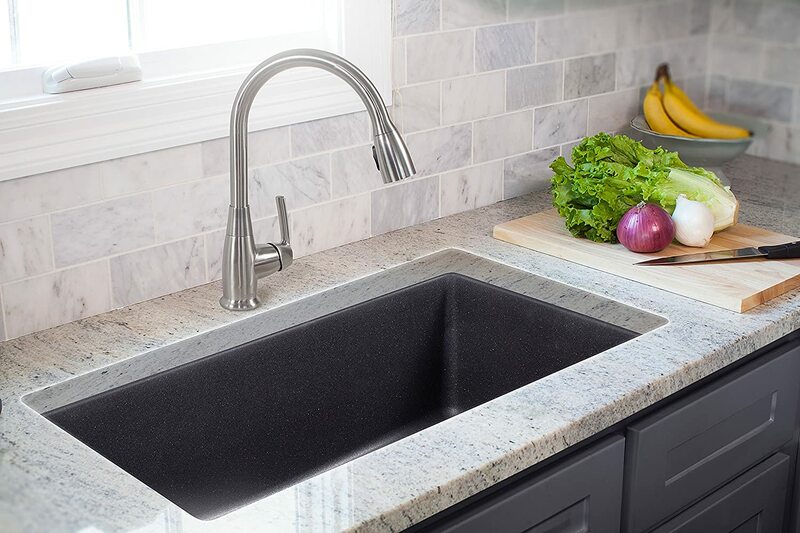 The reason Franke limits this feature only to their granite sinks is because they are the most prone to this type of issue, unlike stainless steel sinks that are naturally resistant to such harmful agents. Unfortunately, not many homeowners know that the production of bacteria, especially between the cleaning cycles, can be a worrying issue, especially with granite sinks. So if you want to be careful about the hygiene of your family, one of Franke’s sinks may certainly serve you better than the ones available from other brands. While stainless steel kitchen sinks usually come with fairly modest maintenance needs, the granite ones can be pretty demanding. However, Franke somehow makes its granite sinks pretty easy to clean and maintain as well. Perhaps the unique surface coating they come with – which is aimed at preventing bacteria production – also paves the way for easy cleaning. Similarly, the leftover stuff that’s usually left on the surface after the usual cleaning, too, can be easily wiped off by simply letting some water run through the surface. This is definitely an impressively low level of cleaning and maintenance requirements for granite sinks. Needless to say, taking care of the cleaning and maintenance needs of the stainless steel sinks would turn out to be nothing short of a breeze. There honestly seems to be nothing to not like about Franke’s sinks, except perhaps the fact that some of its sinks seem to be a bit overpriced. However, not everyone would look at them that way, for the sinks that might seem expensive to you may be totally worth it for some others. 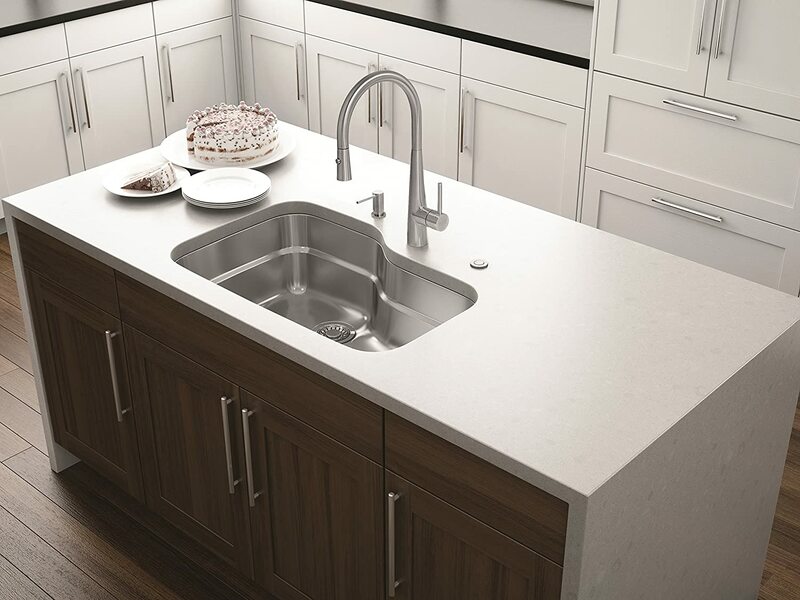 This is especially for those that are looking for the functionality and versatility of stainless steel sinks and the beauty of those gorgeous granite and fireclay sinks. And guess what? This is kind of the only thing that can be termed as a downside, though it’s still something up for debate for sure.